Pom Poms are such a versatile little item. 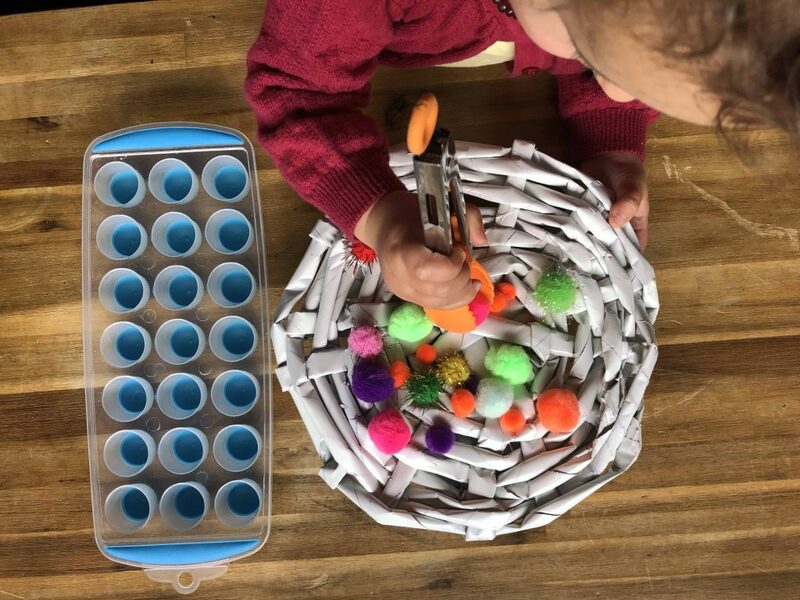 They are great for sensory play, crafts, counting, colour recognition, teaching spatial awareness, sorting activities and so much more! Today I thought we needed to get back to basics and ground ourselves with some simple play. Miss 19 months hasn’t been feeling very well with a nasty tummy bug so I needed something that I knew she would love and be able to complete without to much of a challenge. 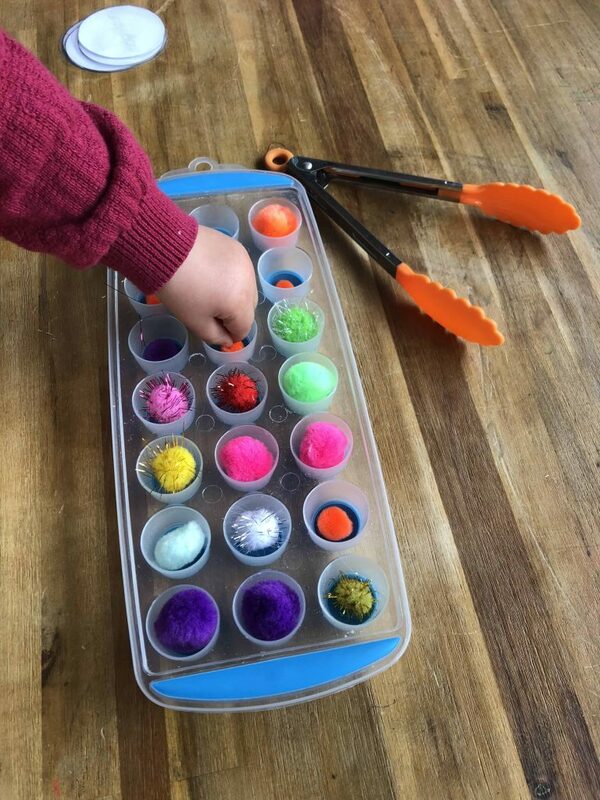 Sorting pom poms has always been a favourite in our house. With tongs and an ice cube tray at the ready, Miss 19m was what to start sorting. Using these tongs are fabulous for building fine motor strength. Coordination and understanding a sequence of events are needed to complete the task of picking up each pom pom and sorting them into each well. While she was picking them up, I was asking her which colour she had. Truth be told she probably only got half of them correct however she was attentive to my questions and through this repetition, she will continue to learn not only her colours but different phonics too. While allocating each of the pom poms their place, she also touched and felt them with her fingers. Some were pricklier than softer ones, some squeaked a little when squeezed, some were firmer and some gave way with ease. Each and every movement her little fingers made will help her build up muscles strength in her developing fingers. 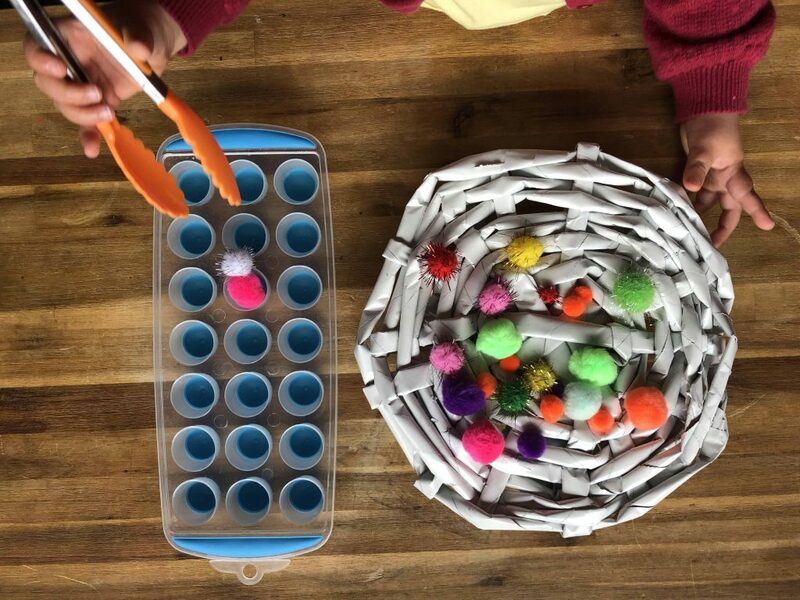 This pom pom sorting activity is great for toddlers. Toddlers are not designed to stay still for long. This activity is quick to understand and complete. 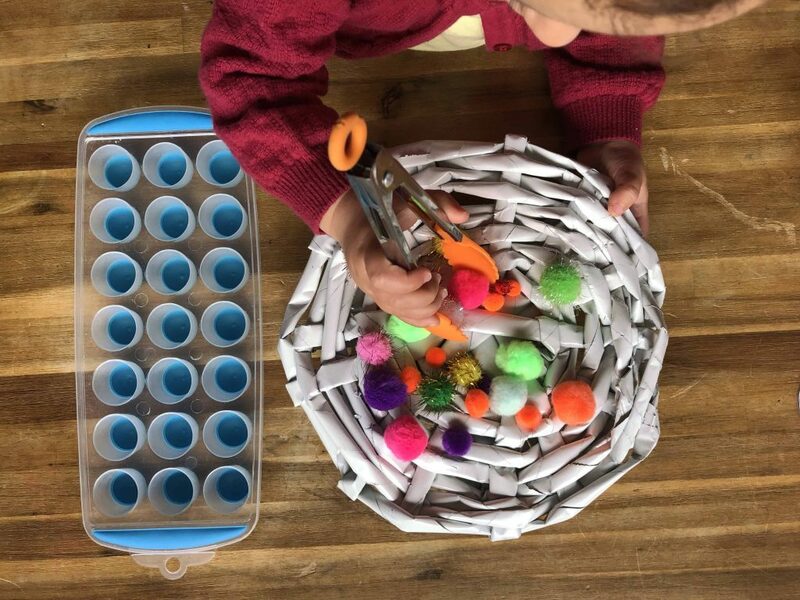 There is a clear beginning, middle and end to this task making it a easy to interpret structures play activity. Once each of the wells had a Pom Pom in its depths , the job was done! With an applause, Miss 19m has a huge smile of her face. She was so proud to have finished her little job. 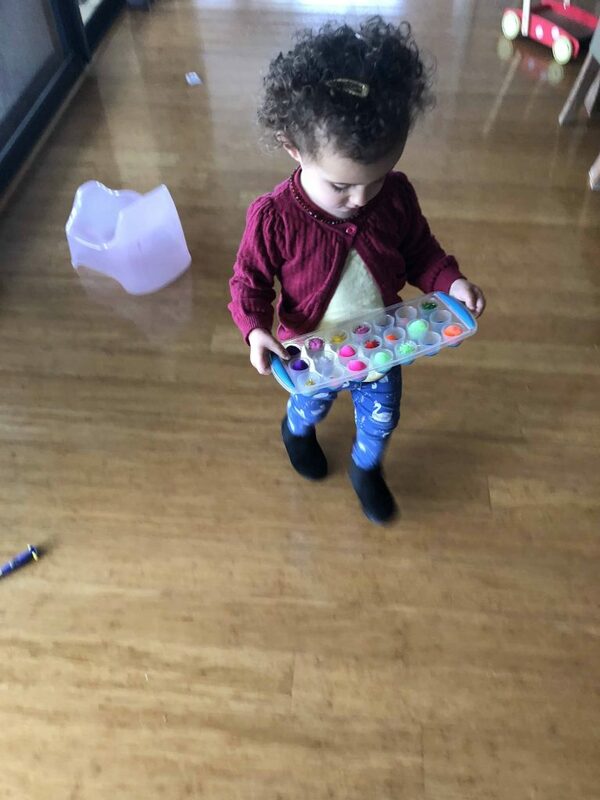 I then asked her to carry the ice cube tray carefully into the kitchen. I created an emphasis on the importance of being very careful. This added responsibility gave her a confidence boost once she reached our kitchen bench. I feel it is important for us parents to give our children these little chores. Giving them tasks that we know they can achieve, guiding them to help them and then celebrating their success gives them such a boost to their self confidence. I lifted her up to the sink and Miss 19 m followed my instruction to fill the ice cube tray with water. We watched the pom poms dance in the water. Some sank, some floated, some stayed under water when we poked them and other bopped back up again. After a little play, we slipped the tray into the freezer for some play on another day. 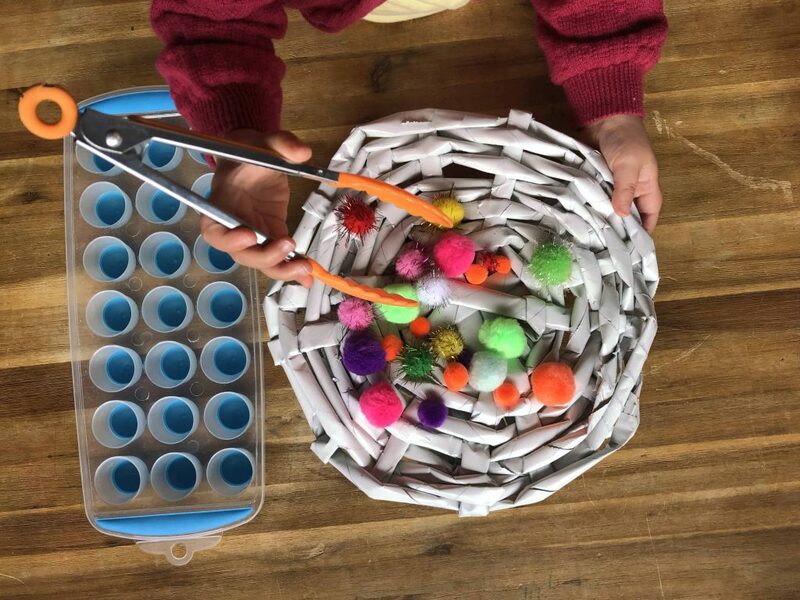 Would you like to see what we did with our frozen pom poms? That tale, will be coming soon! 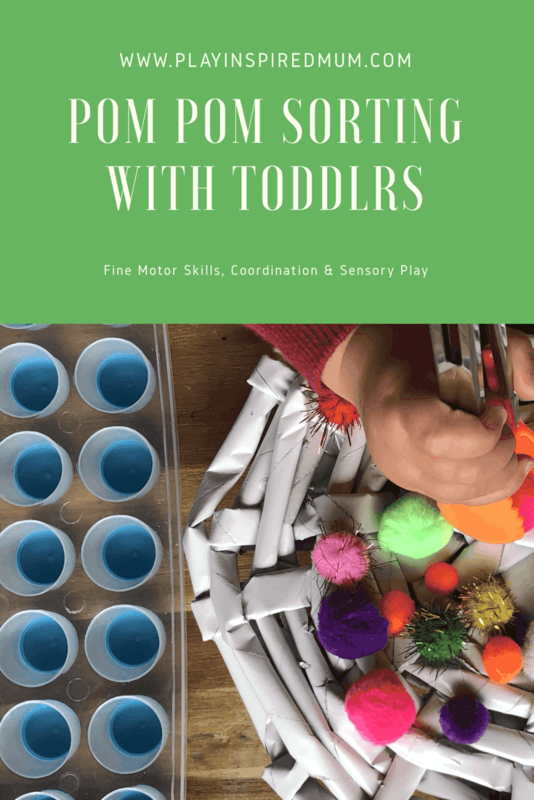 Sorting can be a fun activity for your toddler. 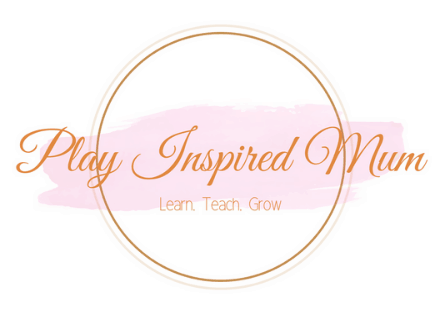 Get some sorting inspiration from these amazing resources! Use code: Dani10% at the checkout to save! 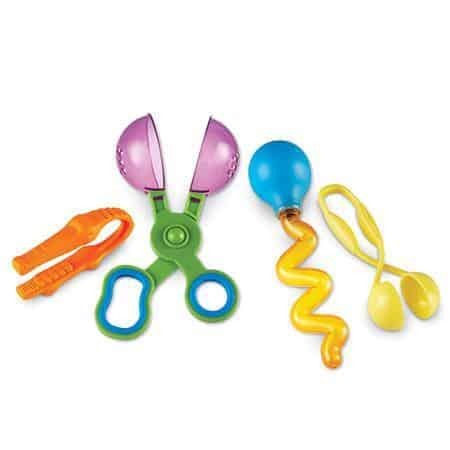 Check out these amazing toys that can help develop fine motor skills! I like this idea, can’t wait for my boy to grow I will be on these activities like crazy. I wonder what you did with the frozen pompoms. Thank you! My children love pom poms! 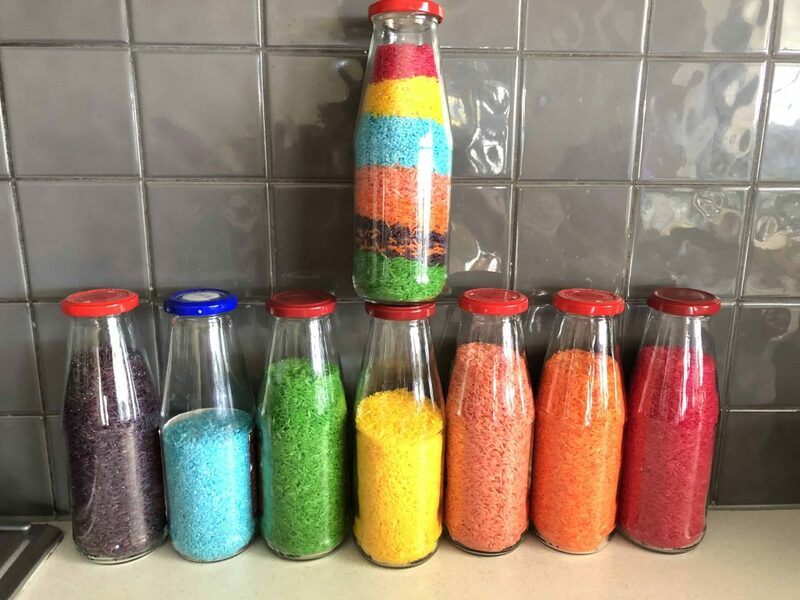 If you son is still little, perhaps he would enjoy pom poms in a zip lock bag or an recycled plastic bottle to admire the colours. Frozen pom poms went down a treat! I really need to write that one up! This is such a great idea. My kids would have loved to do this when they were smaller. Thank you! It was lots of fun! I’m always looking for new ways to entertain my niece and nephew. I’ll definitely try this next time I’m with my niece. I’m so glad to hear you like our activity! I hope your niece has as much fun as we did! 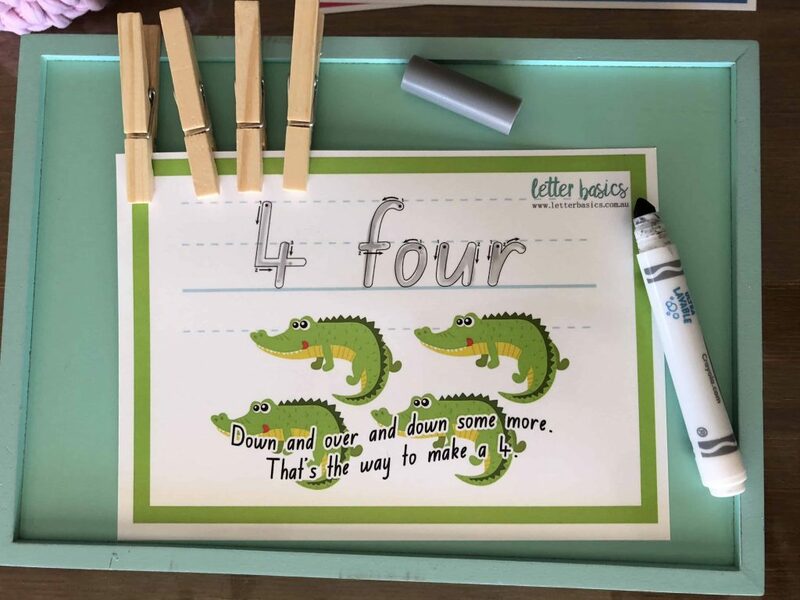 What a simple, fun activity for little ones with little to know clean up!! I love it! Poms are really great to play with! 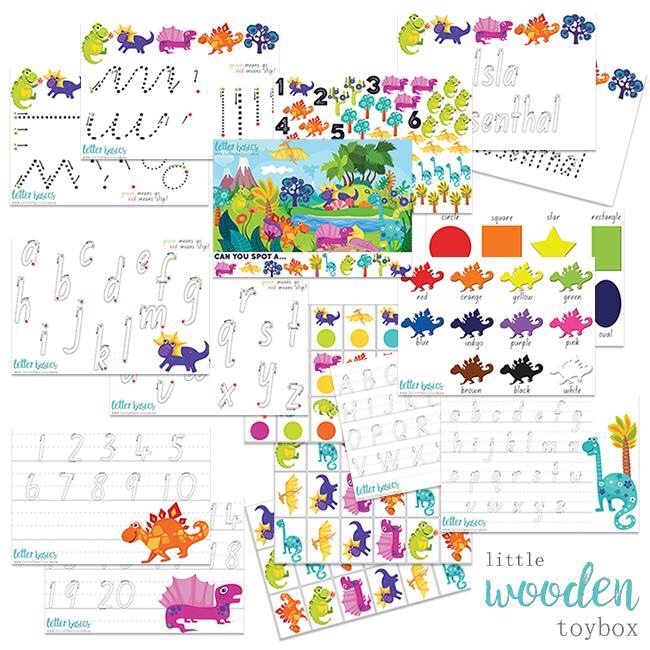 Kids love all the different versions and they are great for sensory or fine motor activities. I agree with you 100%! And they can be used in soooo many different ways! 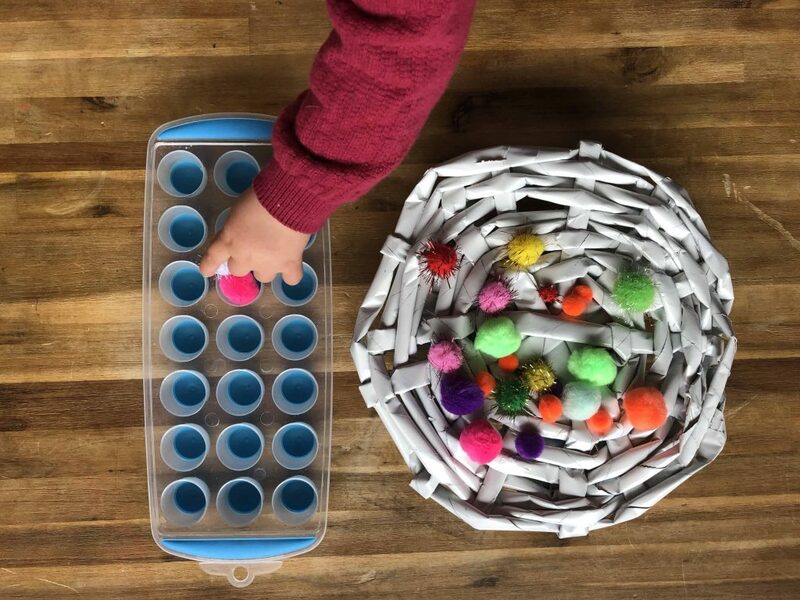 Pom Pom sorting sounds like so much fun! My daughter would love to do this for sure!!! It really is- my children love it! Sorting offers so many conversation opportunities, counting context and cognitive development opportunities! As a kindergarten teacher, I find this activity very interesting! I’m sure that it would be really fun and easy to do for toddlers. It really is a great activity for a variety of skill levels! 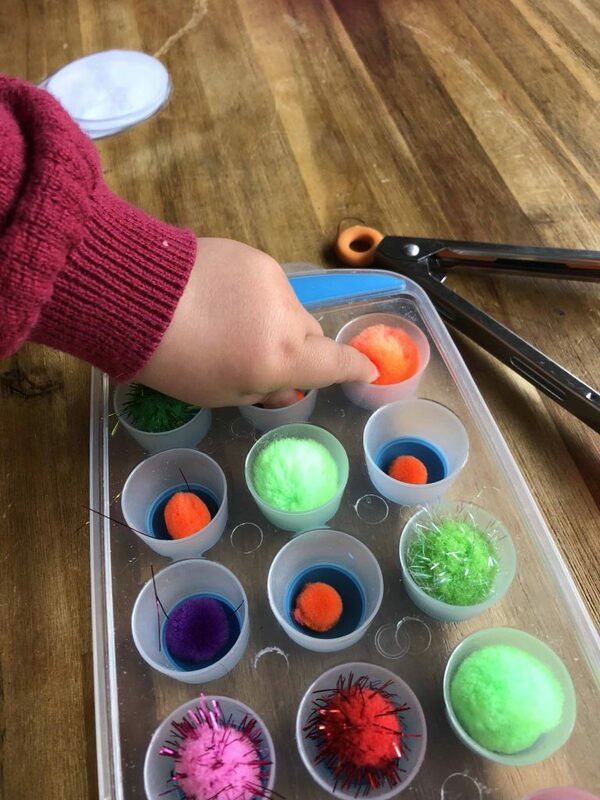 This is a really interesting activity for a toddler. My son would definitely like Pom Pom. 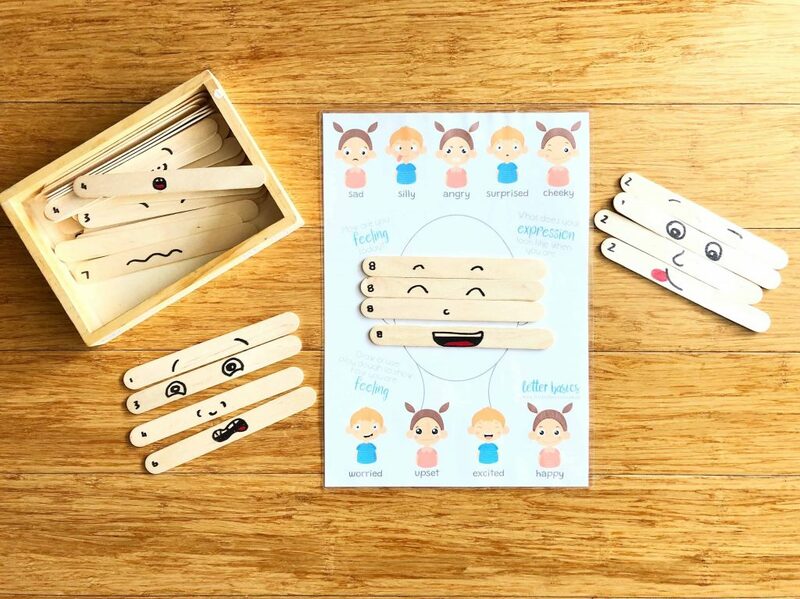 This simple activity keeps children busy. I wish I used Pinterest more when my kids were little. I missed out on a lot of cool and fun activities, but I’m here now. My kids, although much older, might still appreciate this. What a wonderful activity. I wish I would’ve come up with it while my girls where smaller. 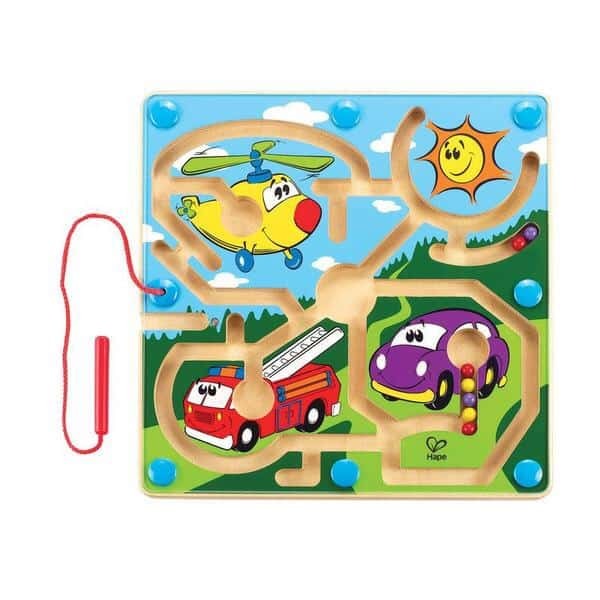 Perfect to teach them to follow instructions, motor skills and see the joy of accomplishment when the activity is done. Now, I want to see what you girls did with the pom pom’s. Thank you! Both my girls love it! I can see this as an amazing activity to try. It is likely for kids and super fun. I can’t wait to make my own ones. 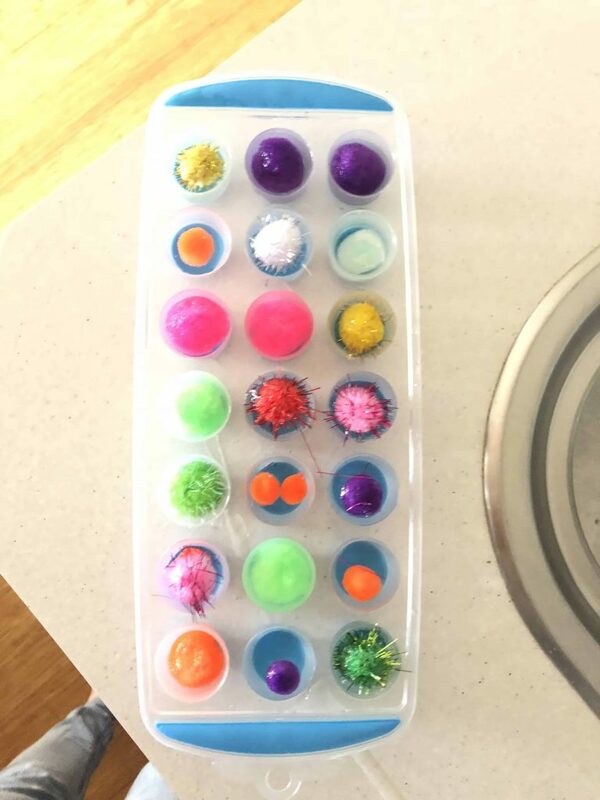 What a fun way to play with poms! I know my granddaughter would get a kick out of this too. Thank you so much! Pom Poms are so versatile. I hope your granddaughter enjoys this activity! This looks so fun! 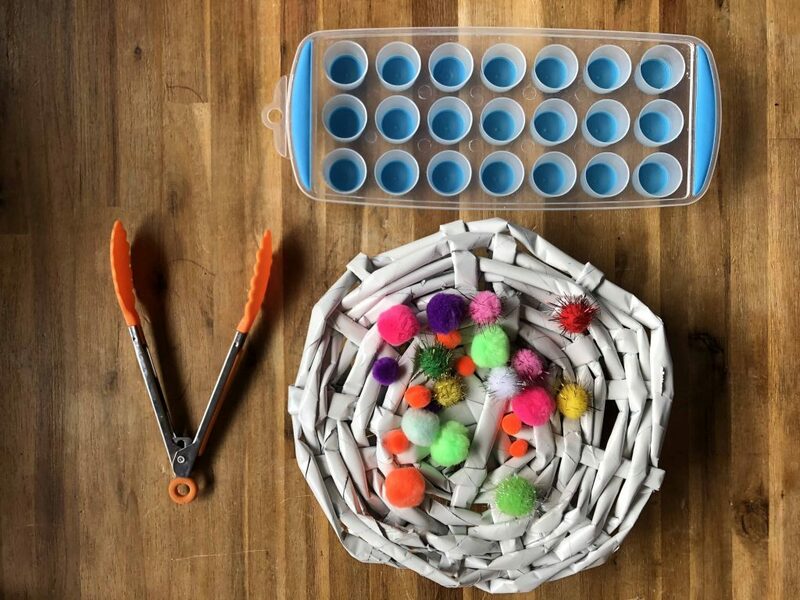 My kids would play with pom poms for hours when they were kids (and when I pull them out for crafts now that they’re tweens, they still think they’re fun). I love the ice tray, too! This looks like so much fun! Great to keep the kids busy and teach them a lot of things! can’t wait to see what comes out of the freezer! These looks really great idea, it make to keep kids busy. I wish I have seen this earlier when my kids are toddler now they are grown up. Thank you! 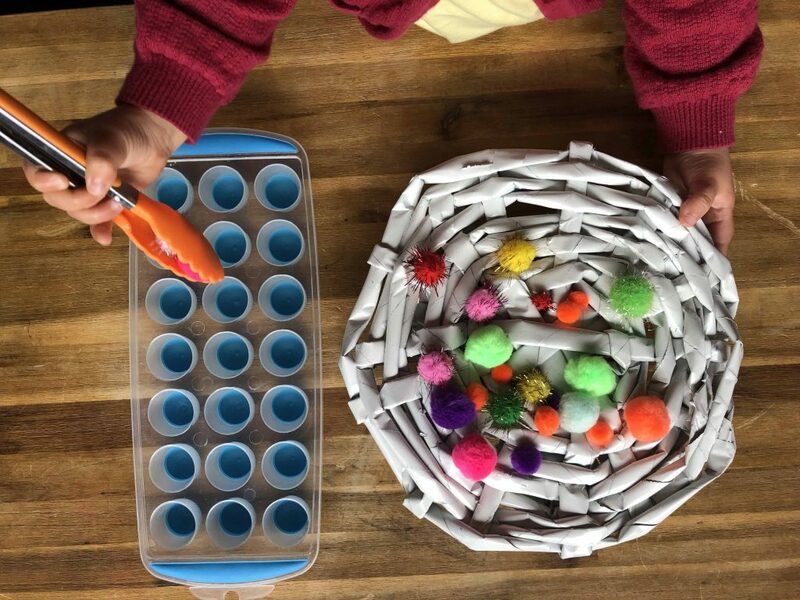 Pom Poms are such a handy resource for all ages!